Traveling photographer shares her experience in the Land of the Morning Calm. 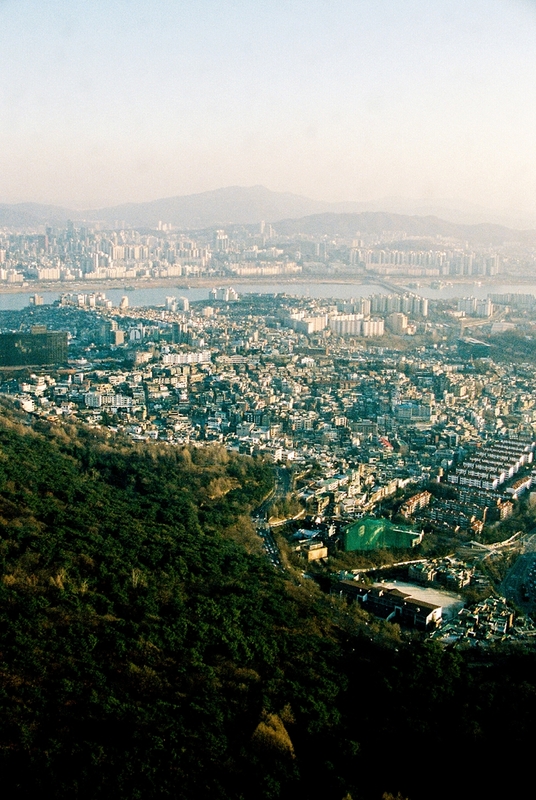 onsidered the world's urban tech center and modern food diversity, the South Korean capital city of Seoul still roots itself deeply in its 5000 years history of tradition, environmental beauty, and culture. 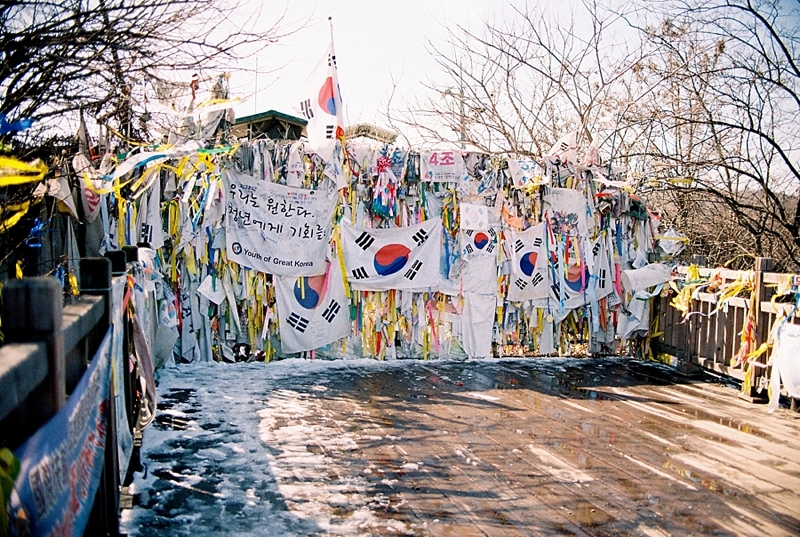 In the "Land of the Morning Calm," South Korea boasts idyllic mountains, ancient architecture, and a hope for peace with its northern neighbor. 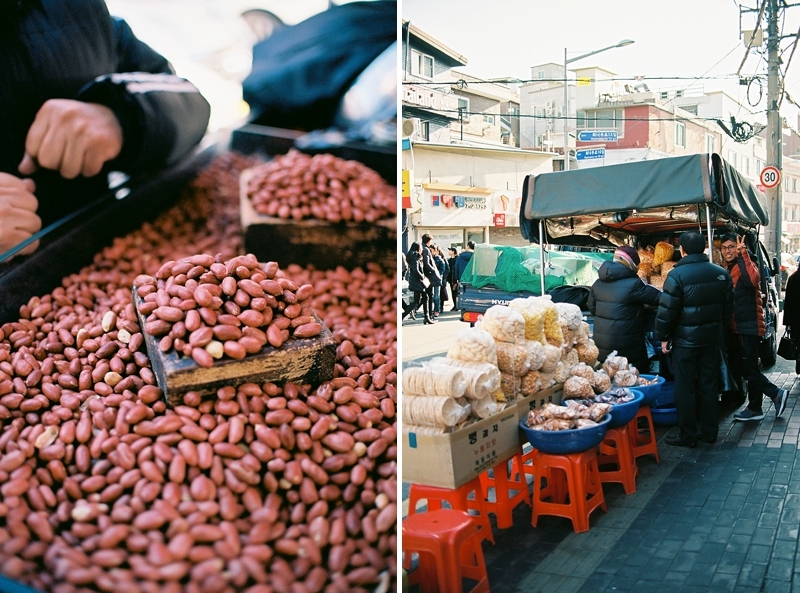 Shared by photographer Minh of Du Soleil Photographie, we get a glimpse at three local adventure ideas around Seoul that share South Korea's innovative spirit while still honoring time old tradition. 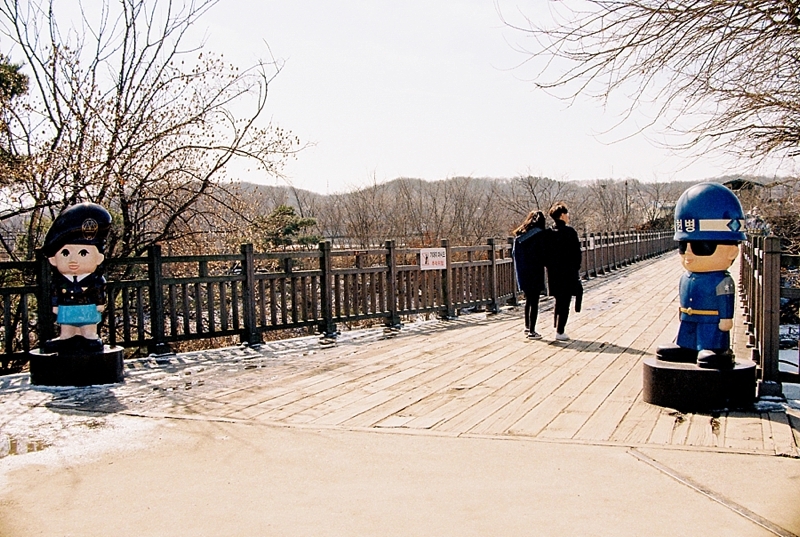 Once used as an avenue to trade prisoners of war back and forth, the Freedom Bridge in Imjingak Village now serves a reminder and place of remembrance that Korean families are separated from each other. 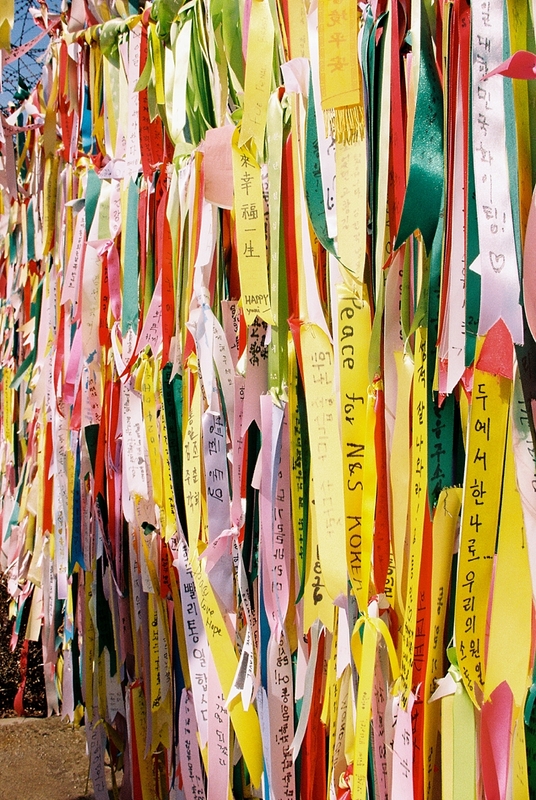 Brightly colored ribbons and banners of prayers cover the fence in hope of peace, connection, and reunion; it's a somber moment of the devastating consequences of political power. It is this bridge that begins the DMZ, or Demilitarized Zone, an area between North and South Korea that acts as a neutral zone for both nations. Since visitors cannot visit this area without special permission via an approved tour company, Minh booked with Koridoor Tours to have the opportunity to overlook North Korea and experience something that most people might not ever get to see or do. In winter, it's a little quieter than traditional tourist season, but the tension in the air is still there. 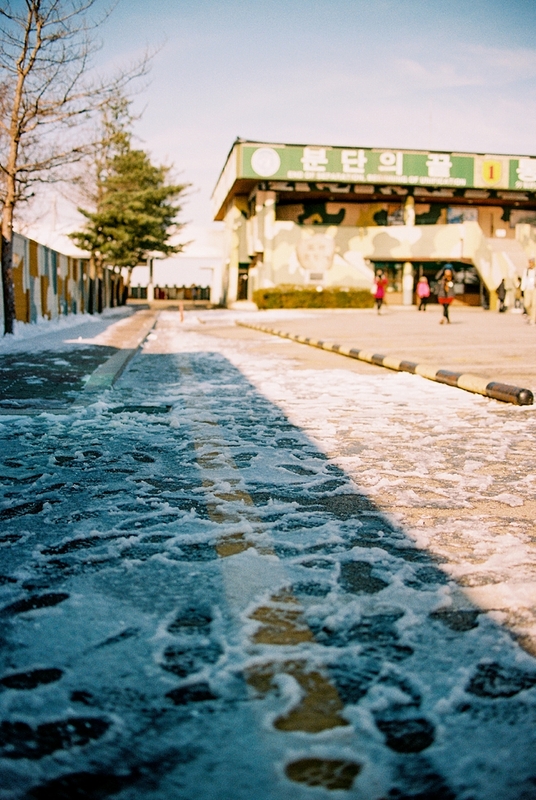 Beyond anyone's control, the DMZ could close without notice if governmental concerns arise that day. For those with a humanitarian interest, the DMZ is absolutely a must visit. If nothing else, you will gain a greater knowledge on what is happening across the globe. 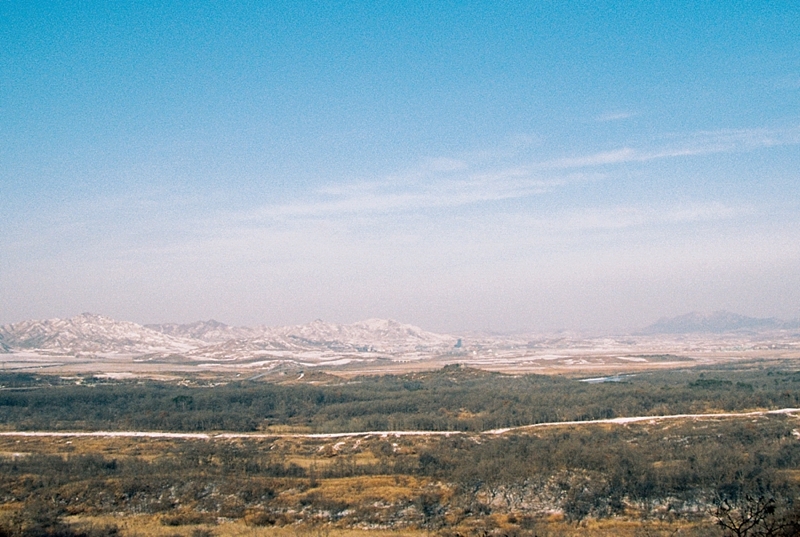 Now more than ever, travel gives our lives perception, and South/North Korea is no exception. 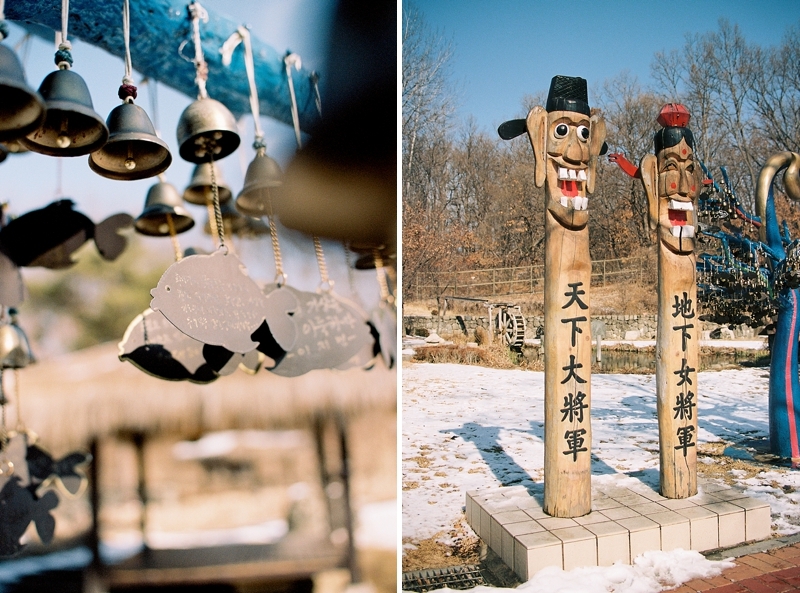 After a taste on contemporary life in South Korea, the Korean Folk Village in the town of Yongsin gives a glimpse into life long ago all throughout Korea. 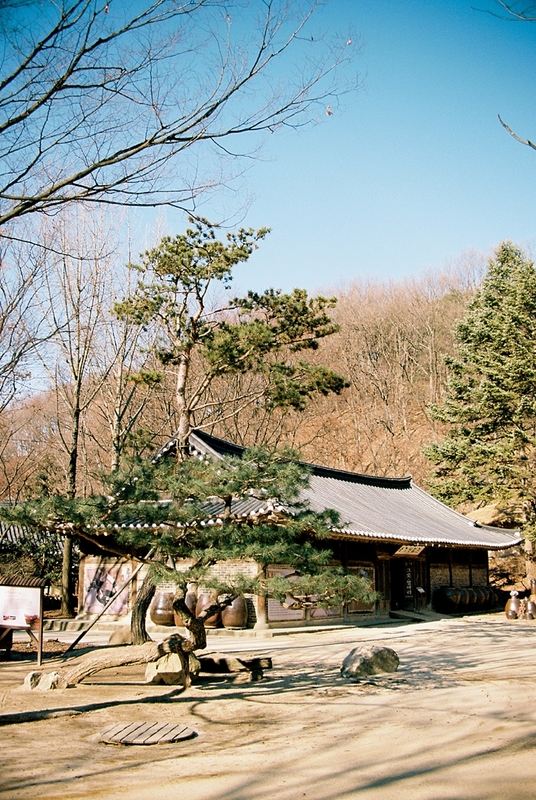 With thatched roofs, totem poles, and the most exquisite wind chimes, history gurus will absolutely love being immersed in this living museum dedicated to preserving Korean heritage. 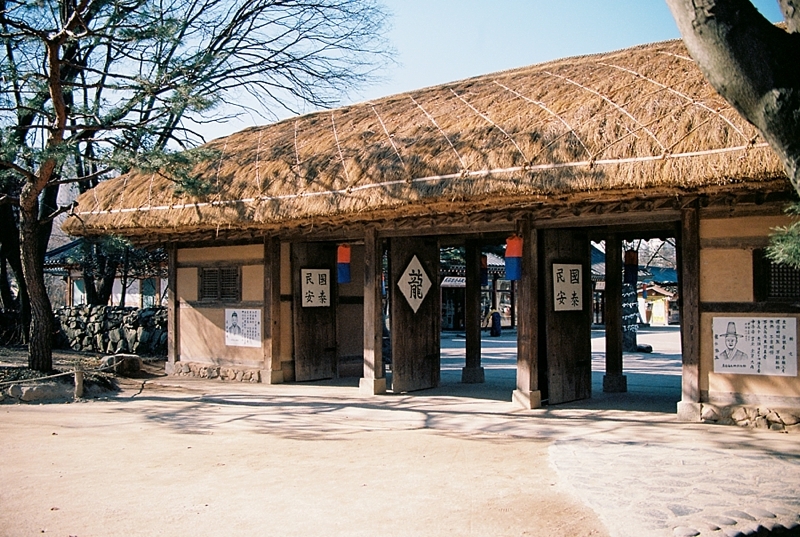 The Joseon era (think 14th century!) is represented by the thatched houses and artisans who show how to make anything from bambooware, blacksmith products, and instruments. And of course, a highlight for those who adore animals are the cattle being cared for inside some of these houses. 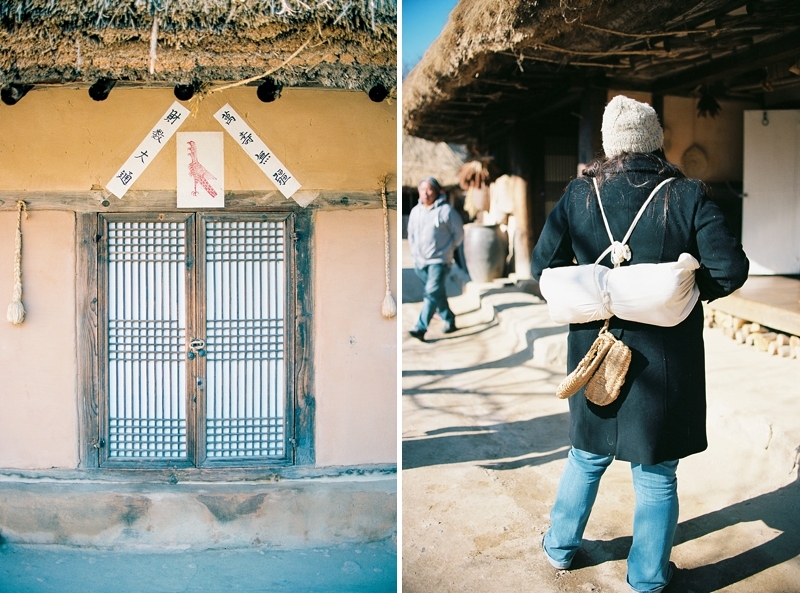 The traditions preserved here are a lovely testament to the future of Korea as it moves in time. Like the Space Needle is to Seattle, the Namsan Tower (also known as N Seoul Tower) is to Seoul. Rising above the skyscrapers and buildings, this is the way to see a 360° view of the city. In 1969, it served as Korea's first general radio wave tower, and nowadays, it continues to transmit broadcasts! With multiple levels of restaurants, observation decks, and gift shops, Namsen Tower is considered one of the most popular things to do. 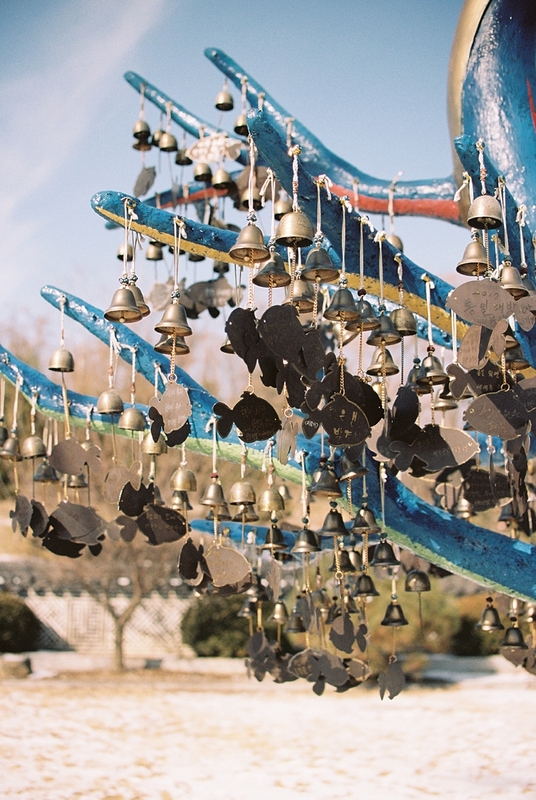 For first time visitors to Seoul, it's a must do! As a birthday celebration, Minh and her family enjoyed fine dining with the best view possible! 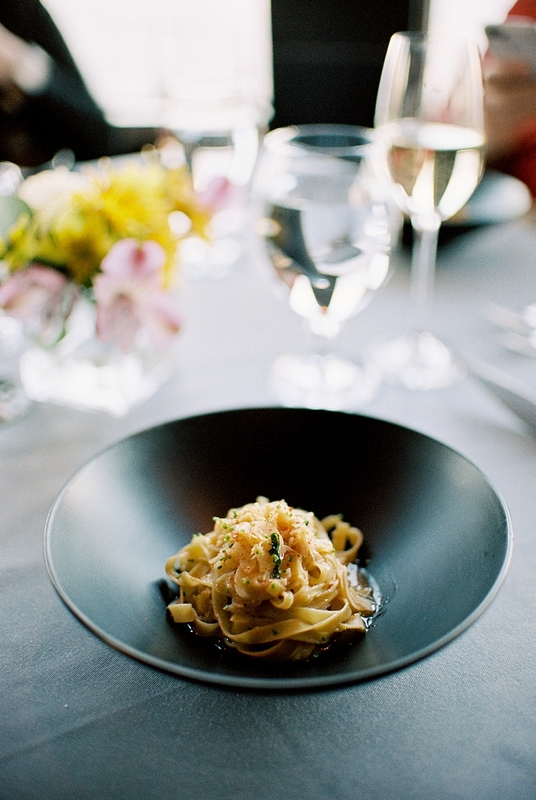 With dishes like parmesan soup, fettuccine with sea urchin butter and crab, and lobster toast on brioche with lobster glace and sa ffron aioli, seafood cuisine shines and leaves no tummy empty afterwards. 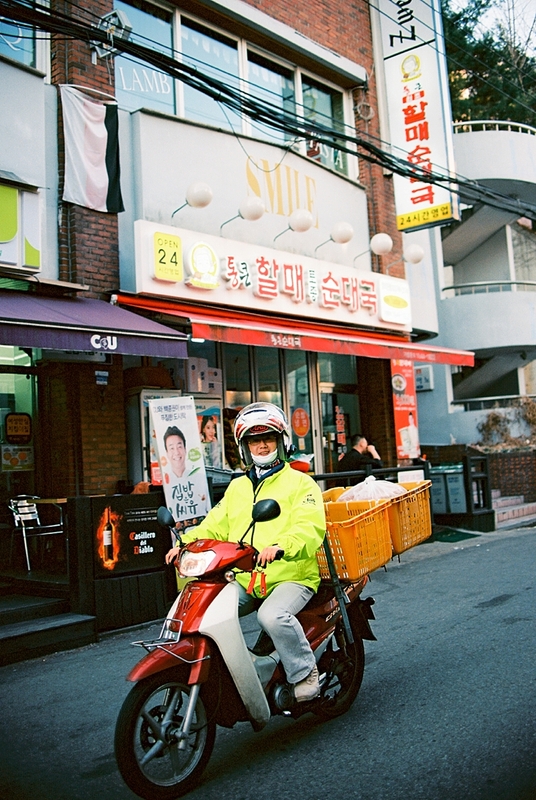 Whether you're wandering the "themed" streets of Seoul or adventuring out of the city, modern innovation comes in the forms of towers that rotate and delight and tradition travels you back to earlier centuries of what might seem like a far more simple life. 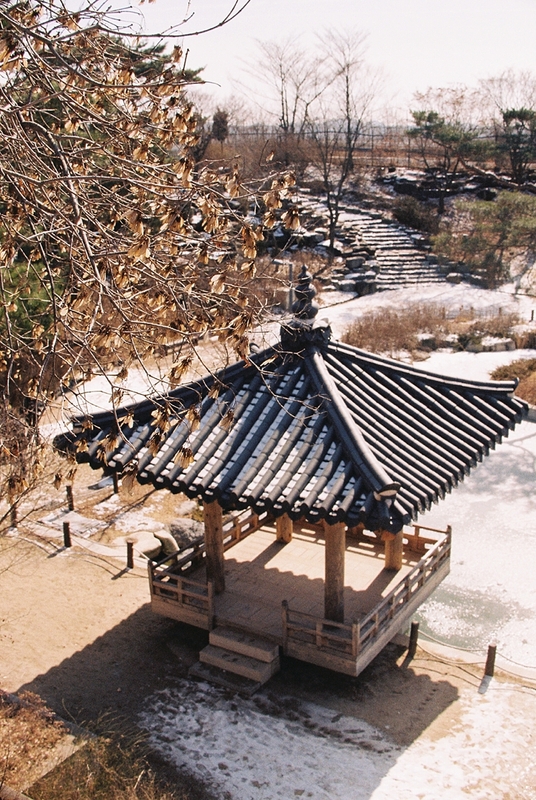 Whichever adventure you decide on while visiting South Korea, there is an experience for anyone with a love for history and food in the capital city.